Each year the National Rural Electric Cooperatives’ Association hosts the Youth Tour to Washington, D.C. During this event, participants from across the country tour Washington’s historic treasures, visit with their state’s congressional delegation and participate in youth rallies and socials. Starting on June 14th, two students from our service territory will embark on this one of a kind experience. 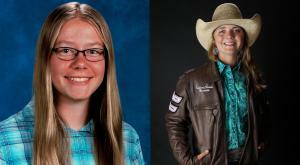 We would like to congratulate Sarah Welborn and Kassidy Broere, who attend Beaverhead County High School.